Dave Douglas has been beyond the borders of jazz since he started out in the early '90s. 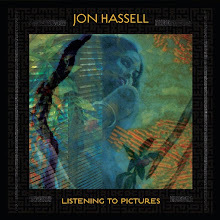 An artist who for those unfamiliar, has combined the exuberance of Louis Armstrong, the adventure of Lester Bowie and the artfulness of Woody Shaw into what I believe is the best and most creative trumpeter of his generation. 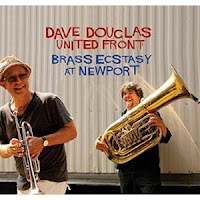 Douglas' new album Brass Ecstasy At Newport is just more evident of how he is making a definitive statement inside and outside the jazz landscape. This is essentially a live document of Dave Douglas' newest of many collective ideas Brass Ecstasy debut album from last year, Spirit Moves (Greenleaf Music). The performance was originally recorded by WGBO in Boston so the sound quality is excellent. But its the music that really delivers on an astonishing note. This live performance surfs with New Orleans territory with more verve and intrigue than others have done over the last decade. Both the title track and "Fats" swing and generate a rich excitement that later lays into the bluesy outlook of "I'm So Lonely I Could Cry." The twelve minute closing number "Bowie" is a wonderfully brilliant tribute to the legendary Lester Bowie in which each member explodes in festive form that the great trumpet would undoubtedly enjoy. Every Dave Douglas fan will gravitate to this live outing with no problems. The real thing is what those of you who haven't discovered Dave Douglas should do. 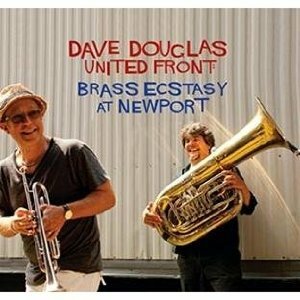 If you are a fan of Armstrong but also are looking for something updated, different and compelling, Brass Ecstasy At Newport is a great introduction to one of many Dave Douglas projects. And could, along with the studio album, Spirit Moves make two perfect companions that will definitely open your world to one the greatest trumpeters of the late 20th Century and one of the future legends of the 21st. thank you for sharing this stuff.